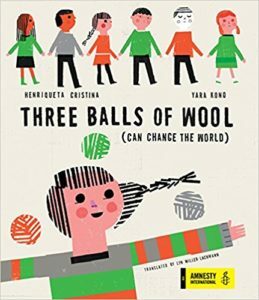 Many of my blog posts touch on aspects of Portugal’s history, from the legend of the Adamastor to the Carnation Revolution and the leaders who helped to establish a stable democracy that endures today. However, any full treatment of the Portuguese explorers and the Carnation Revolution — and the time in between — needs to address Portugal’s encounter with the peoples of Africa. 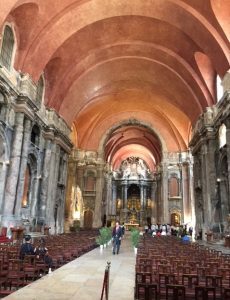 To learn more about this history, Richard and I signed up for “Lisbon’s African Roots,” a five hour tour with the Togo-born historian Naky, whose move to Portugal in 2014 prompted his study of this topic and his desire to uncover a long-hidden history. 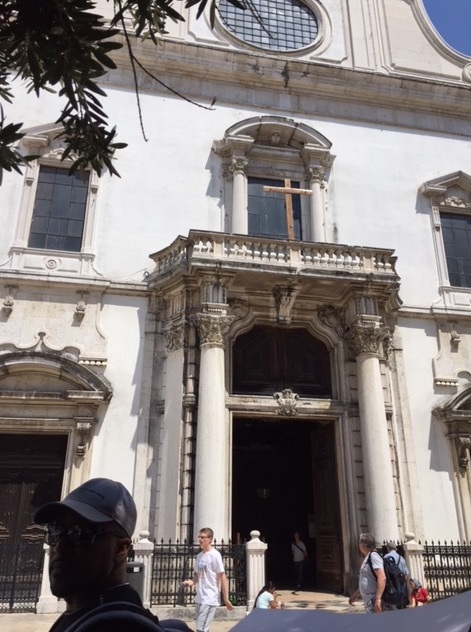 The São Domingos Church near Rossio was one that many enslaved Africans in Lisbon attended from the fifteenth century onward. Portugal’s complicity in the transatlantic slave trade is well-known in the United States, where high school history classes study how Africans arrived in the colonies, and later the new republic, to labor in the plantations of the South. It’s hard to ignore slavery when it eventually became the cause of a four-year-long civil war that took more that 600,000 lives. In Portugal, slavery is easier to ignore, because, for the most part, human beings were sold far away to plantations in the Western Hemisphere, and only the elite profited from this human trafficking. 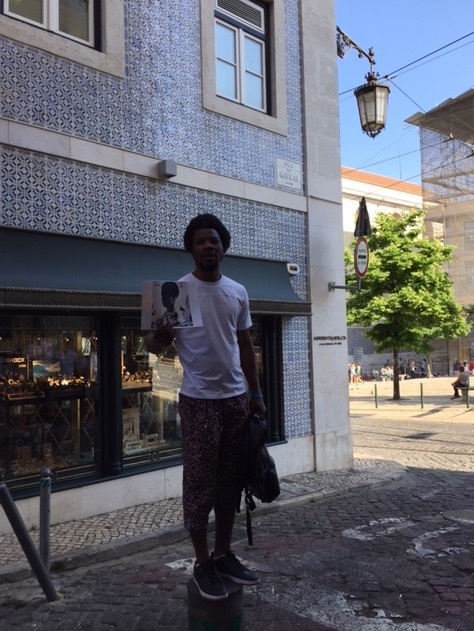 However, as Naky points out, African peoples were brought to Portugal to be enslaved, and some of the “commerce” at the Praça do Comércio (and elsewhere in Lisbon from the fifteenth to the eighteenth century) involved the buying and selling of human beings. While the earliest enslaved people in Portugal (leaving aside serfs who were not considered slaves but were bound to the land that in many cases had been forcibly expropriated from them) were Moors from northern Africa, by 1500, thousands of Africans labored involuntarily in the homes of wealthy Lisboetas, while others toiled on plantations in the north of the country and in the Alentejo and the Algarve. Naky explained that most Portuguese outside Lisbon and common people within the city initially did not know about slavery within their midst; plantations with African slaves existed apart from plantations with Portuguese serfs. As the slave trade continued, middle class residents of Lisbon owned slaves, as did a small number of prosperous free Blacks. By 1555, some 10 percent of Lisbon’s residents were Black. 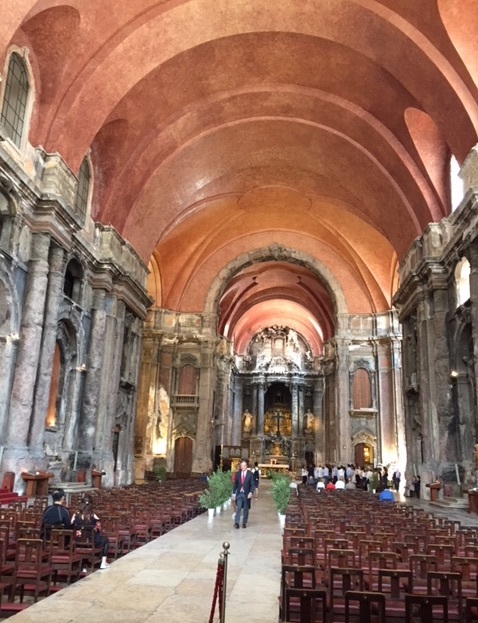 Interior of the São Domingos Church. Naky’s tour took us from the Praça do Comércio to several churches where enslaved Africans attended Mass and joined brotherhoods along with white parishioners. Catholic rituals built on African beliefs and promised rituals to honor the deceased — though his research uncovered countless incidents of Africans who died and were left in the streets to rot or were dumped into common pits. We visited a store in the area of the Rossio train station where many Africans currently live, and there we sampled typical snacks and soft drinks from West Africa. From there, we hiked up to the ruins of the Carmo Convent, destroyed in the 1755 earthquake. That area, as well as the adjacent neighborhood of Bairro Alto, were wealthy areas before the earthquake where enslaved Africans lived and worked. After the earthquake, the king fled the city, leaving it in the hands of the Marques de Pombal, who rebuilt downtown Lisbon and in 1762 banned the importation of slaves to Portugal — in large part to avoid competing with the huge demand from plantations in North America and Brazil. Rua do Poço dos Negros, where many Africans were unceremoniously buried in violation of both traditional African and Catholic customs. After we learned about the slave trade as well as successive efforts to end it and, in the first half of the nineteenth century, slavery altogether in Portugal, Naky talked about the nineteenth century colonization of Africa, which dispossessed the people of those countries and subjugated them to cruel regimes. He gave us an introduction to the colonial wars, independence leaders (particularly Amilcar Cabral from Portuguese Guinea who organized the PAIGC liberation movement that joined Guinea and Cabo Verde), and how the wars radicalized the military leaders who then organized the Carnation Revolution. We saw another site in the Santa Catarina neighborhood — Rua do Poço dos Negros, where a well to provide water to Black residents turned out to be a common burial pit centuries ago — and a block away dined at a restaurant owned by a family from Cabo Verde. (Santa Catarina was a popular neighborhood for migrants from Africa during the colonial era.) I appreciated the opportunity to sample the cuisine, which incorporates meat, legumes, starchy vegetables such as potatoes, corn, and cassava, and a sweet coconut dessert. In Bairro Alto, Naky shows a picture of prosperous Black landowner Bárbara Fernandes, who had slaves of her own. Most of the year, Naky offers the tour once a week on Saturday afternoon, but in the busy tourist season from June through September, the tour takes place three times a week. Twenty-five people attended this week’s tour, among them people from the United States, Britain, and Germany. More than half of those on the tour were Black visitors to Lisbon, and I highly recommend Naky’s presentation to those interested in learning about their African heritage, the history of the slave trade, and Portuguese history. While younger children might become impatient in the course of a five-hour tour, it is entirely appropriate and well-paced for teenagers. Those studying this history in school will gain a valuable perspective, looking at the slave trade and slavery from an African perspective, one based in the first country to build the ships, trading posts, and fortresses that made the transatlantic slave trade possible. Grog, a popular drink in Cabo Verde (and among pirates). Naky lamented the fact that, while tourists from the United States and elsewhere have appreciated the Lisbon’s African Roots tour, very few Portuguese have signed up for it. Up to now, there has been little effort to recognize the presence of Africans in Lisbon and elsewhere in Portugal. For the most part, the history of African slavery is not taught in Portuguese schools. Notable Africans — including businesspeople and landowners (who in some cases were themselves slavers), bullfighters, artists, and political leaders — have yet to receive their due. The Lisbon African Roots tour is an essential step in the effort to combat this erasure. With more attention and awareness, perhaps in the coming years, there will be efforts to memorialize the African peoples who did not necessarily choose to come to Portugal but who helped to build the city and made it their home. 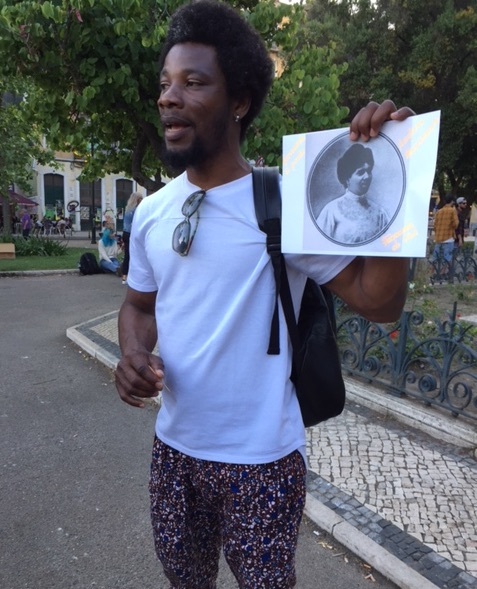 With a photo of nineteenth century cultural figure Andrea Nascimento, Naky discusses the hidden history of Blacks in Lisbon. 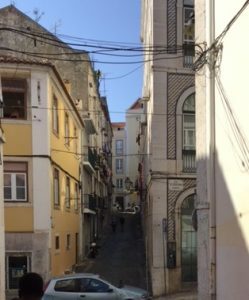 If you would like to book the Lisbon’s African Roots tour, you may do it through the local site Foodie Bookings or, alternatively, AirBnB. The price of 35 euros includes the tour and some snacks, but does not include the main course at the restaurant. I wonder what the “main course” for the Lachmanns was like!!!!! We went for the vegetarian option, a stew with beans, corn, and root vegetables. I thought it was tasty with the hot sauce added. Lyn, thank you so much for this. I’m glad to know about this history. I really had no idea. The next time I’m in Lisbon, I would love to take Naky’s tour. You definitely should! The last time you were in Lisbon, he hadn’t moved to the city or started the tour yet. In fact, so much has changed since then — you probably won’t recognize much of the city. I’d love to take that tour! Thank you for such a thorough report, Lyn. If you come to Lisbon, it should be on your list of things to do. He only offers the tour on Saturday during most of the year, but in the summer, it’s anywhere from three to six times a week depending on demand.